Aer Blarney Balloons, & The Litchfield Hills Aero Club are extremely excited to introduce to the ballooning world the newest generation of pressurized thermal airships called the Friendship made by Adams Balloons. 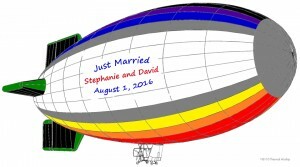 Airships are fantastic advertising vehicles with their ability to fly over the same location, maximizing advertising dollars over the target audience. 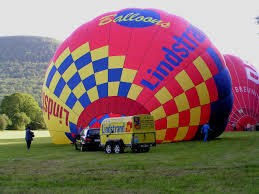 The advantage of hot air airship over the traditional helium blimps is the extremely low operating costs of propane compared to helium. Airships can also be transported via a trailer eliminating the added expense of hanger or large ground crews. Available for corporate advertising and promotions late fall 2017. 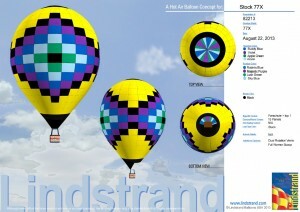 Please contact us for additional information on advertising, corporate promotions and custom hot air airships. Now is the time to purchase a brand new hot air balloon system and take advantage of the fall savings and generous rebates. Just put together your ideal balloon system or envelope requirements, and we’ll be happy to work with you to offer the best value on the worlds’ best balloon! 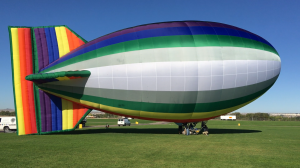 Aer Blarney Balloons Additional Fall Incentive will include ground and flight instruction for you to be able to earn your private pilot certificate with the purchase of any new system. Now is the time to learn to fly a new Lindstrand AX-77, A-Series with Jet Stream Super Single Burner, two 15-gallon stainless fuel tanks, and 42″ x 52″ Ascot Basket. Call 203-910-4955 or e-mail for additional information or come out to the airport for a demonstration.